Marie Christina Elizabeth Borth was born on 23 October 1876 in New York. She was known as Tina. Frederick Christian Borth and Margaretha Kammerer appeared in the US federal census of 1 June 1880 in Buffalo, Erie County, New York, at 213 Grape Street. Other members of the household included Marie Christina Elizabeth Borth, Elizabeth Rosli Borth, John Christian Frederick Borth, Adelaide E. Borth and Martha Maria Louise Borth. 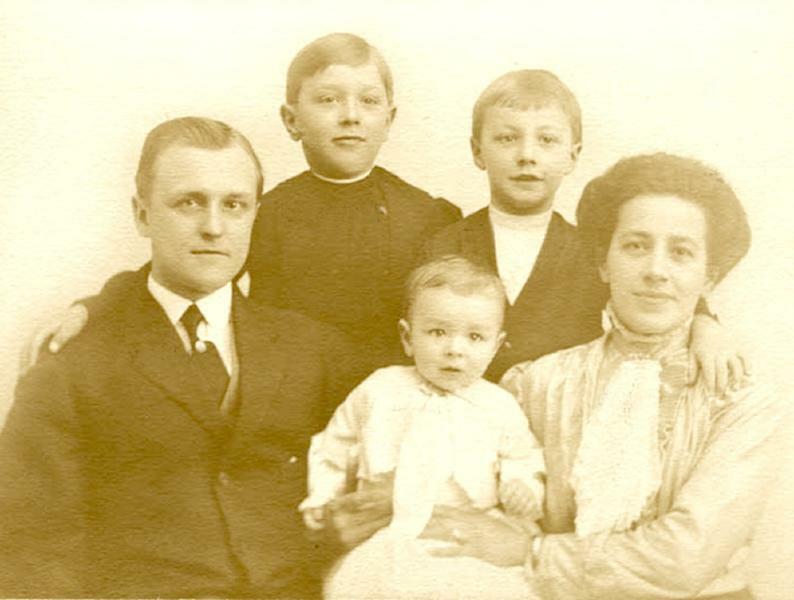 Frederick Christian Borth and Margaretha Kammerer appeared in the US federal census of 1 June 1900 in Buffalo, New York, at 213 Grape Street. Other members of the household included Marie Christina Elizabeth Borth, Adelaide E. Borth, William George Borth, Anna Maria Christina Borth, Anna Margaret Helena Borth and Robert Edmund Borth. She was a drygoods salesman, according to the 1900 census. She married Frederick Lennox Chalcraft, son of Frederick Lennox Chalcraft and Eliza Jane Olds, on 3 July 1900. Marie Christina Elizabeth Borth died on 28 August 1924 at age 47. Frederick Lennox Chalcraft became a widower at her death. She was interred at Ridge Lawn Cemetery, Cheektowaga, Erie County, New York.